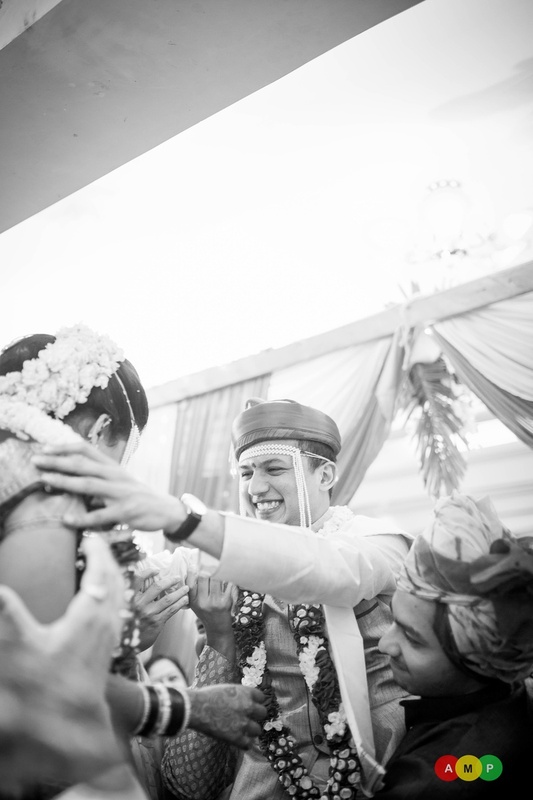 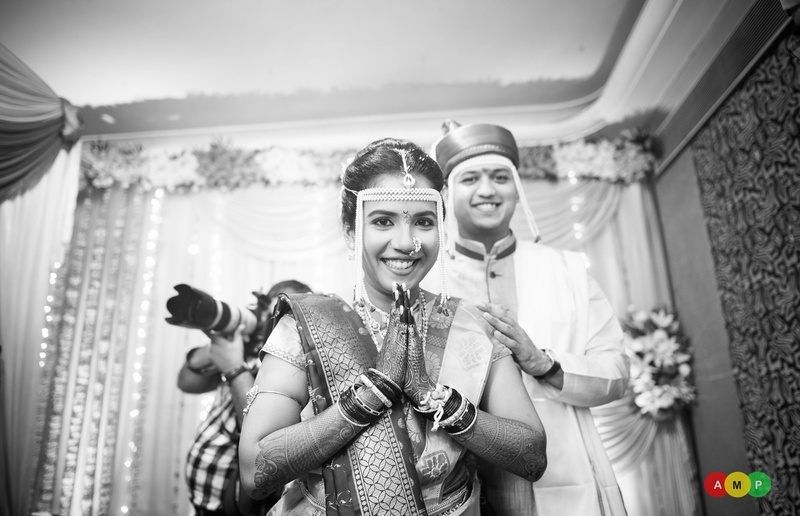 “An entire wedding captured in black and white, this project is a first in itself. 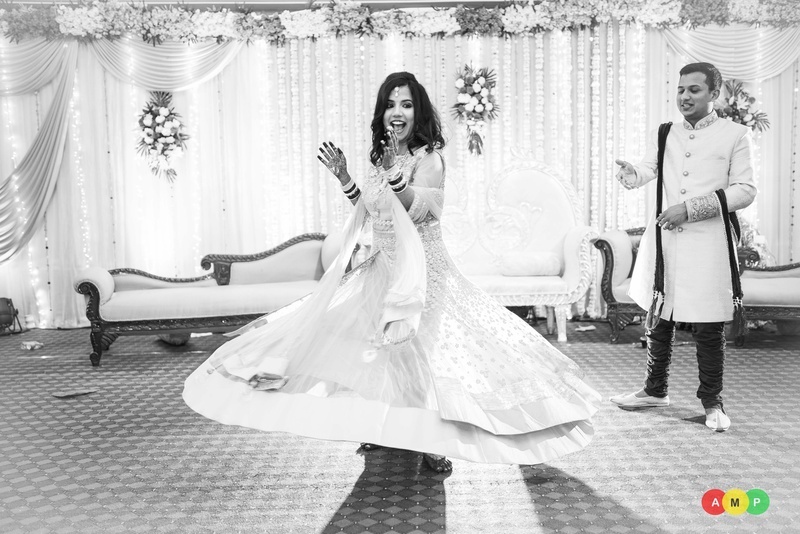 Oh yes, our long cherished wish to add a full black and white wedding to our portfolio is finally fulfilled. 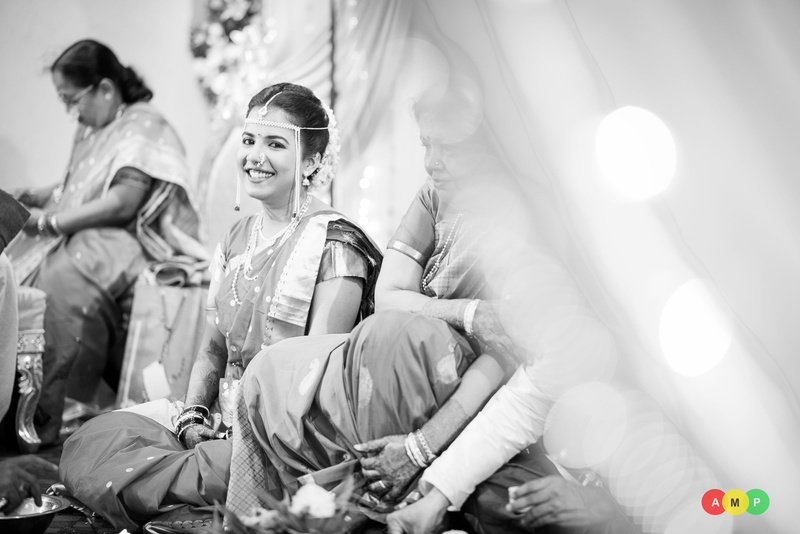 This idea had been high on our minds for a long time but finding a client who could be equally excited about it wasn’t easy and it didn’t happen for a long time. 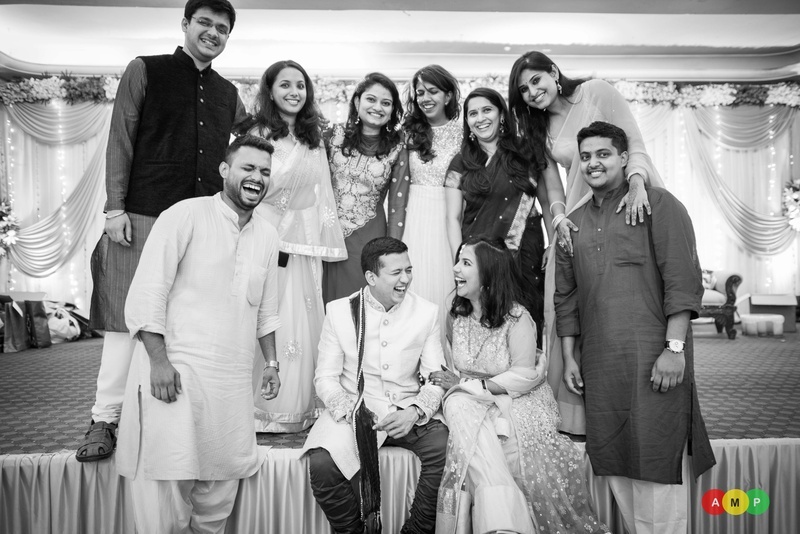 But then if you really want something, as SRK said, the whole world will conspire to make it possible. 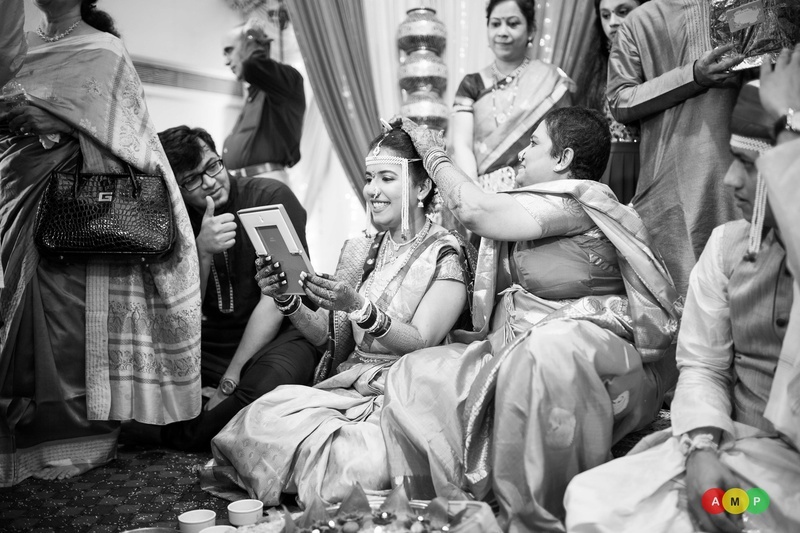 Well it wasn’t exactly like that, it was much simpler. 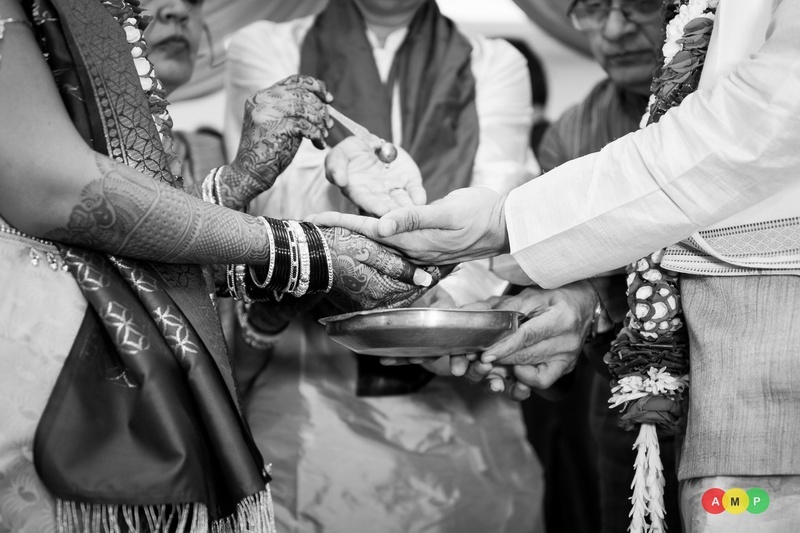 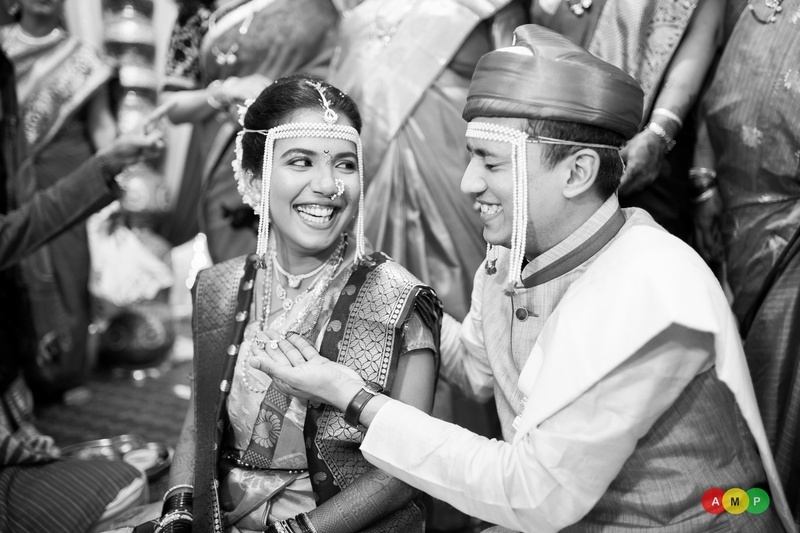 We suggested the idea to Ameya and Anuradha which they gladly allowed us to execute” - Anupam Maurya Photography. 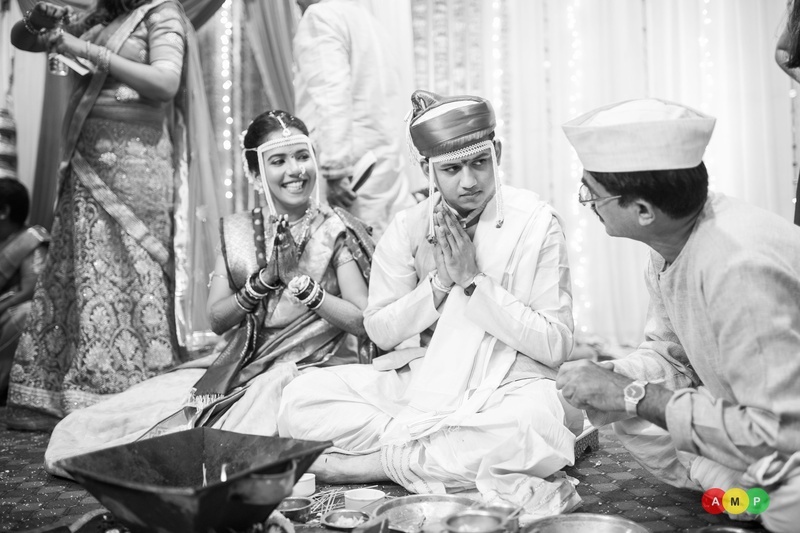 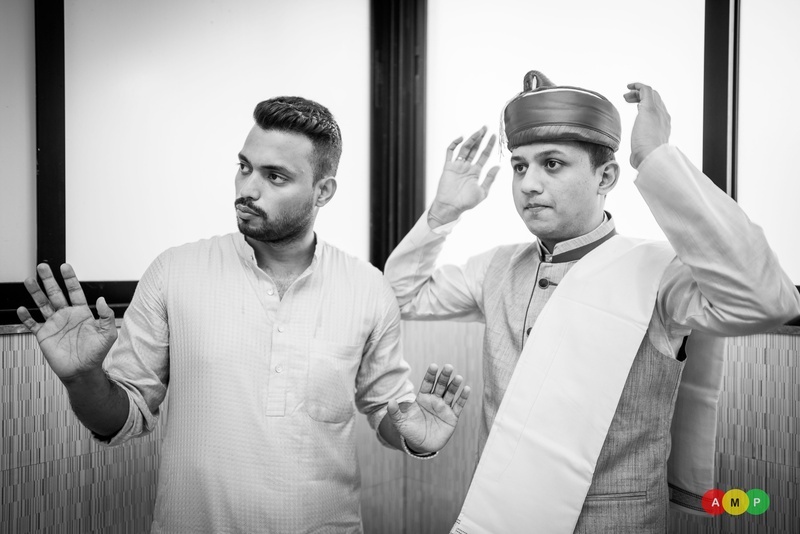 The moment we set our eyes on this traditional maharashtrian wedding held in Shree Gurjar Sutar Vishwakarma Baug an intimate indoor venue in Vile Parle, Mumbai that played perfect host to the Anuradha and Ameya’s beautiful Maharashtrian wedding. 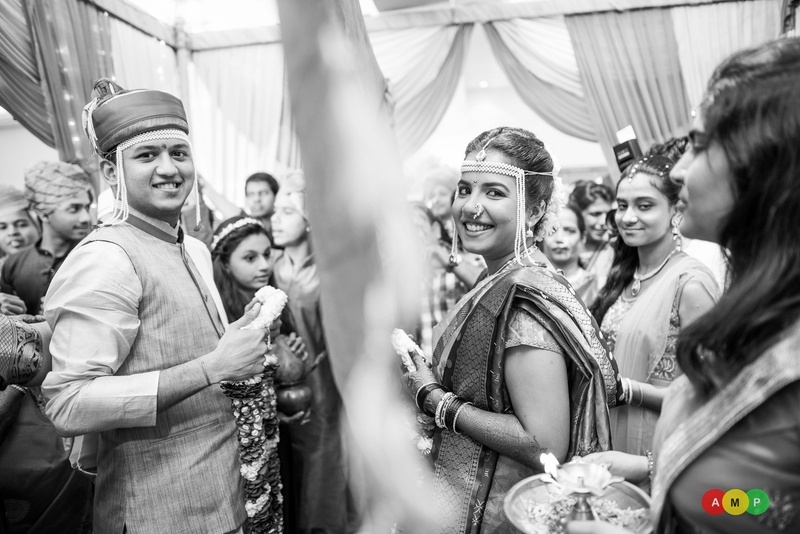 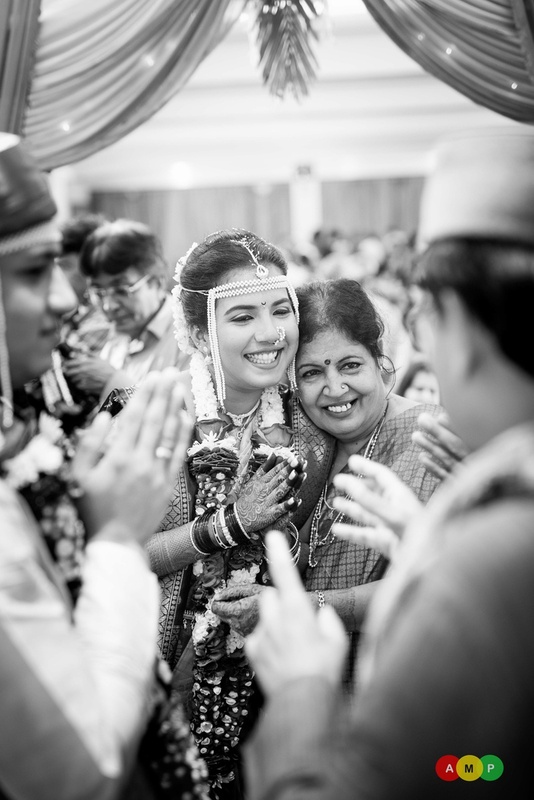 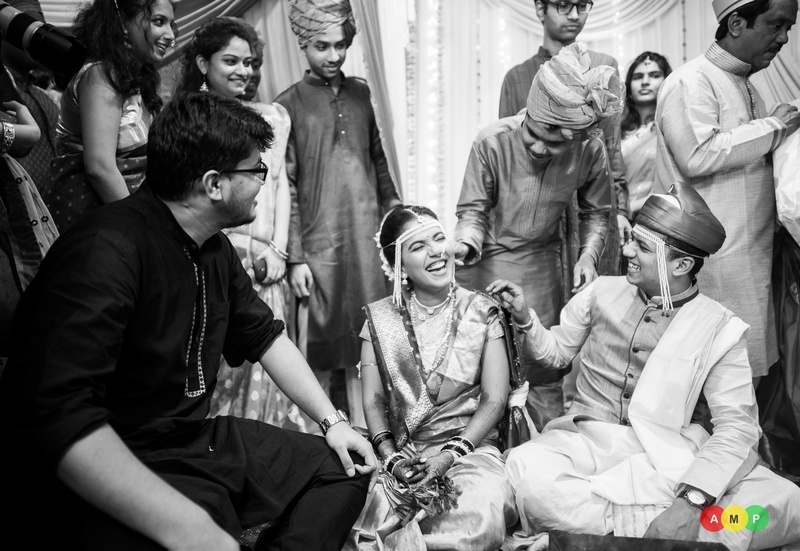 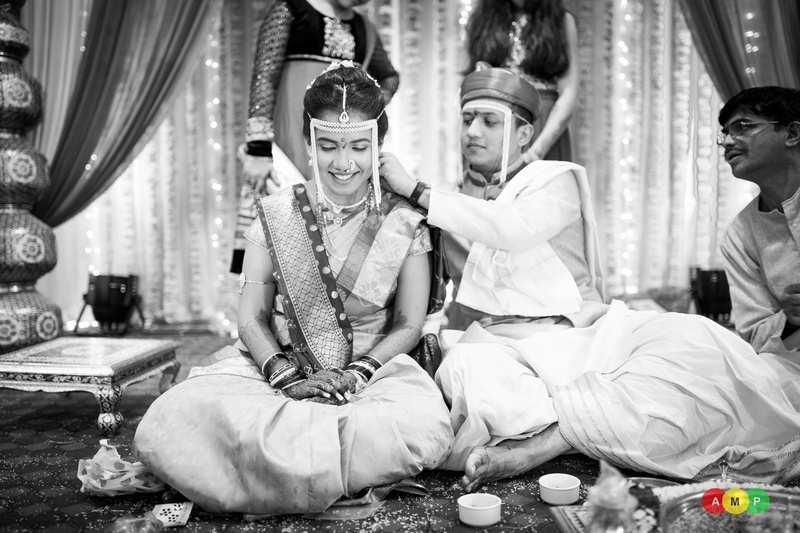 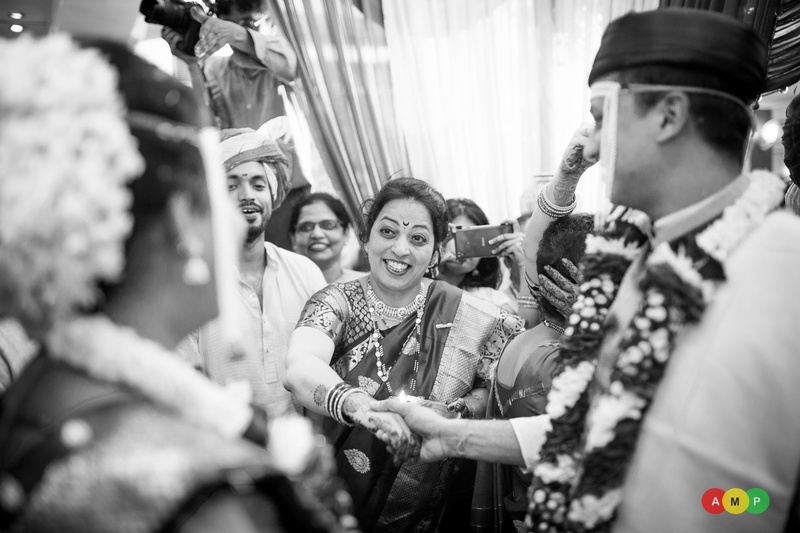 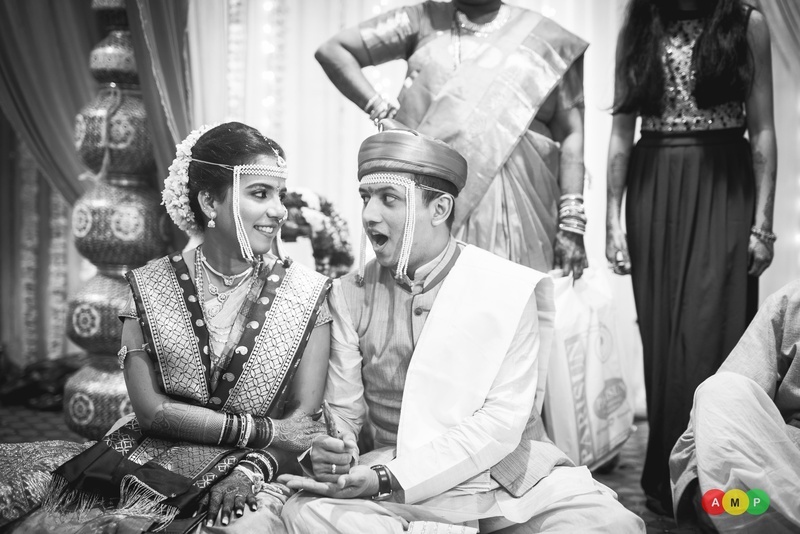 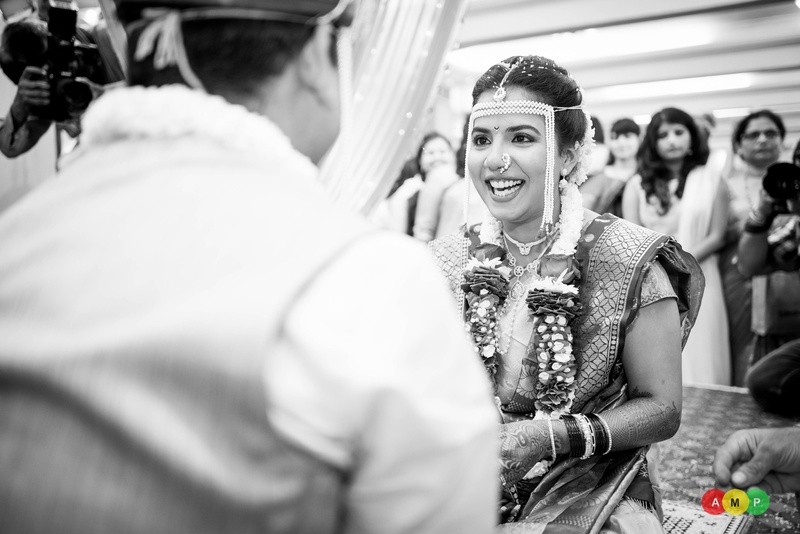 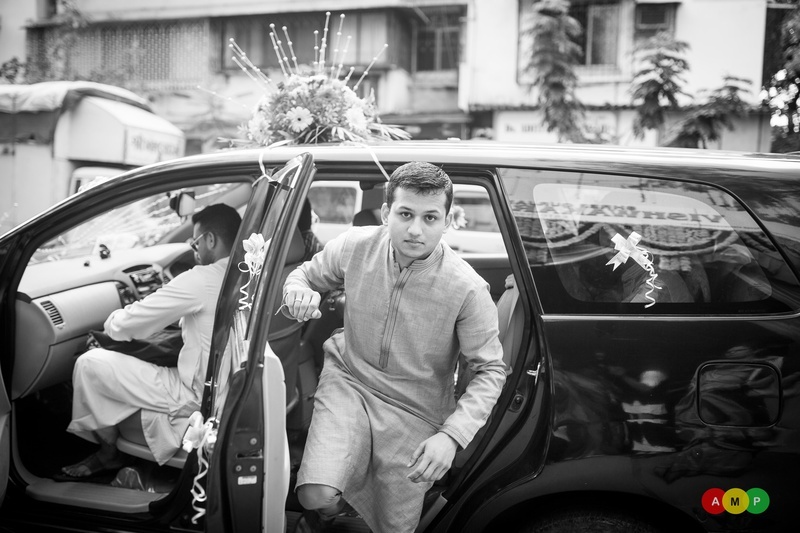 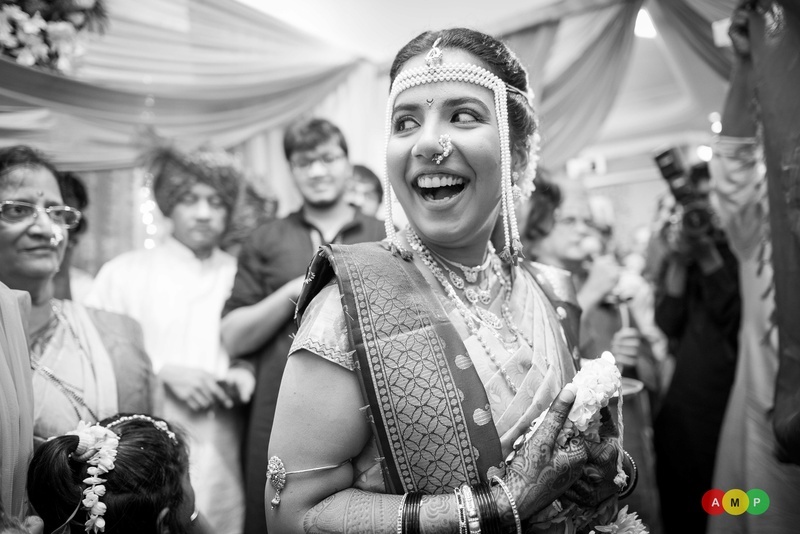 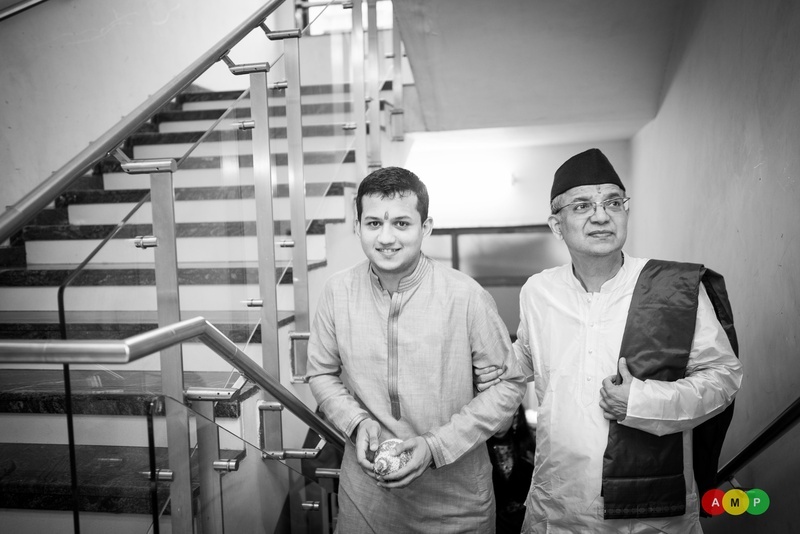 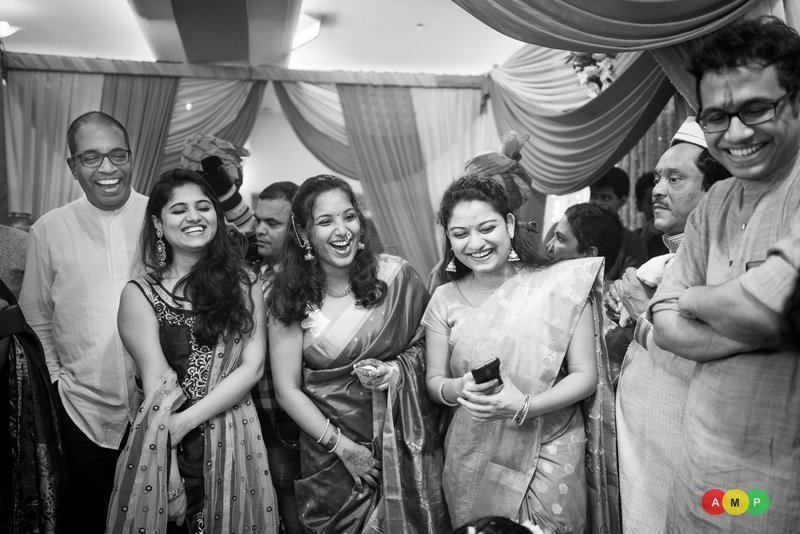 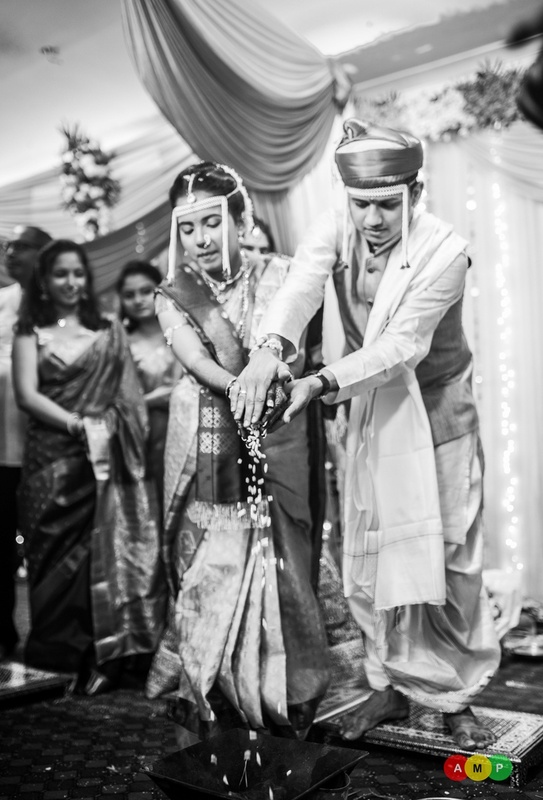 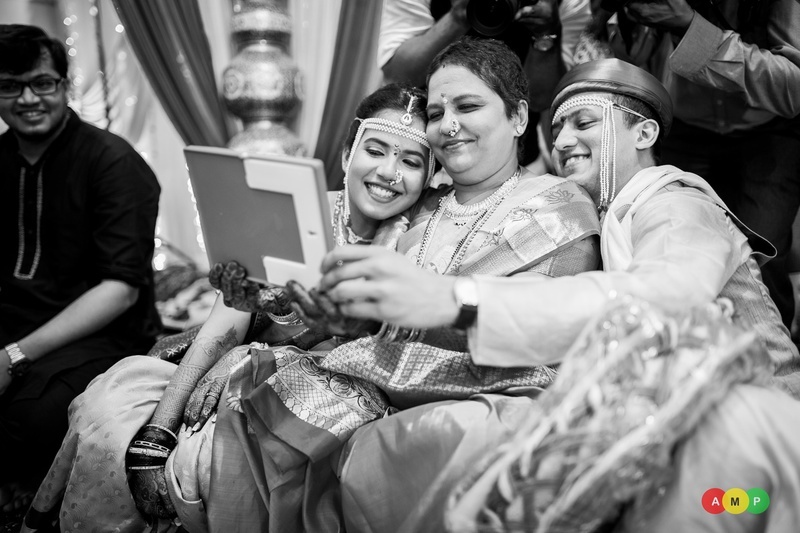 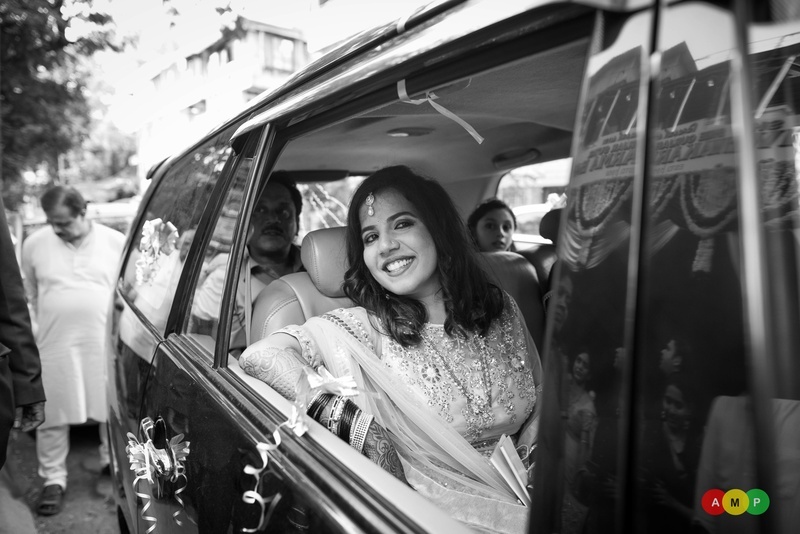 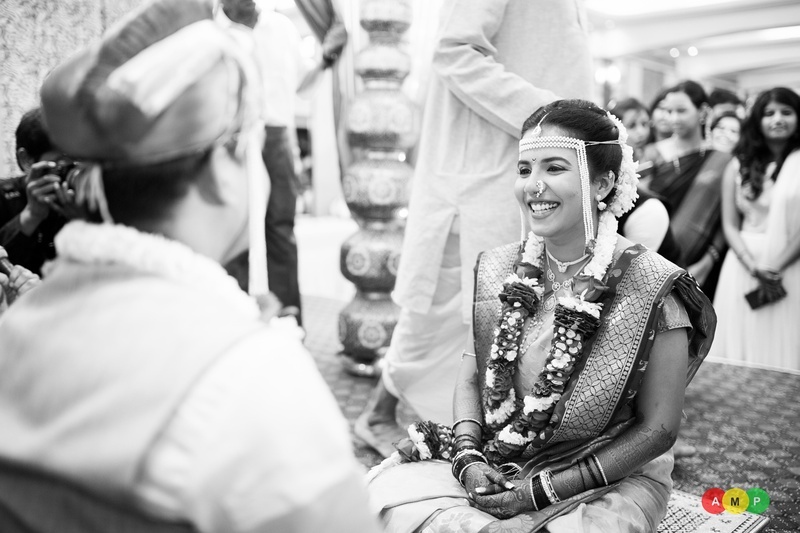 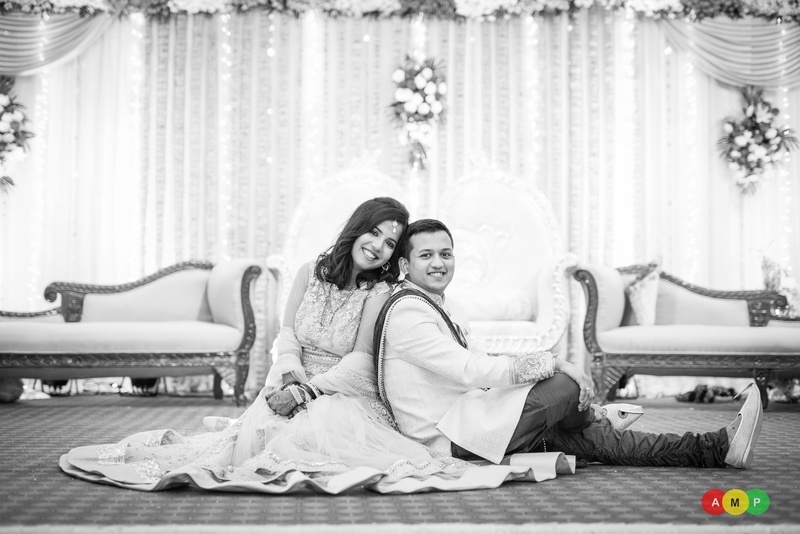 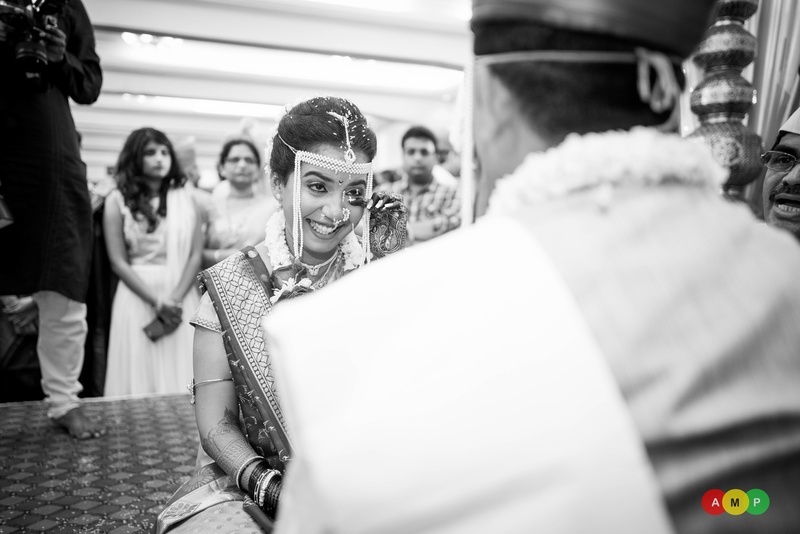 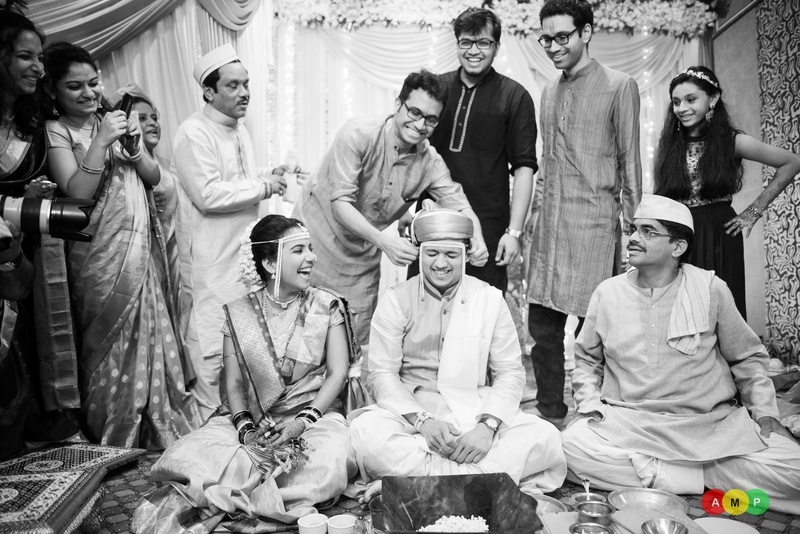 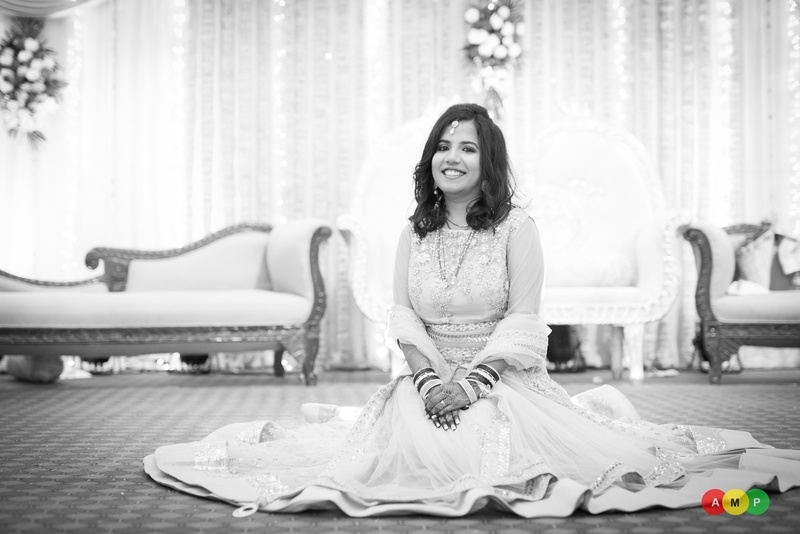 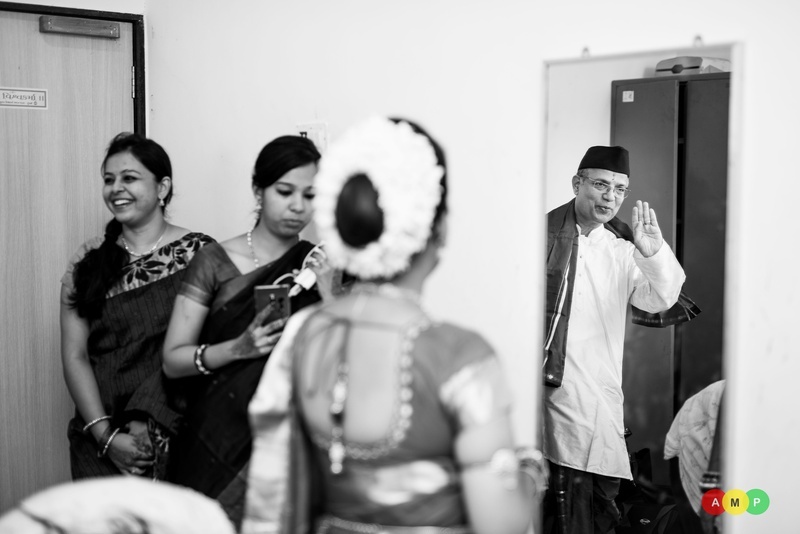 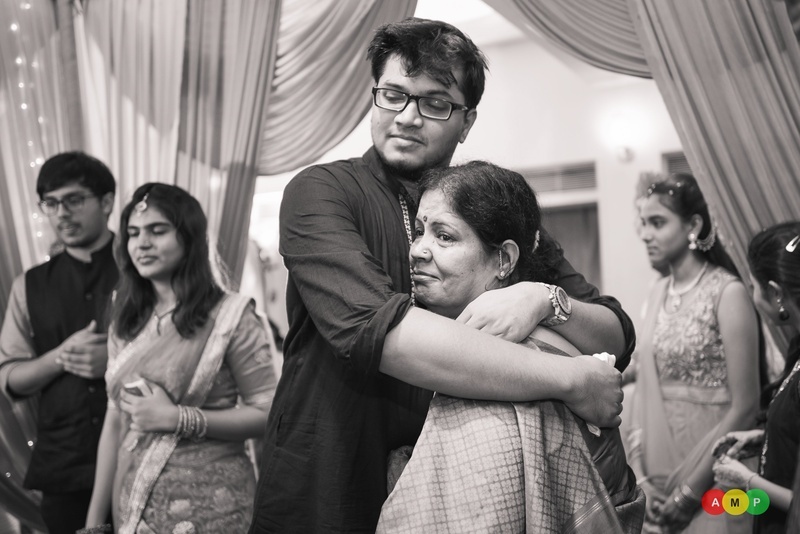 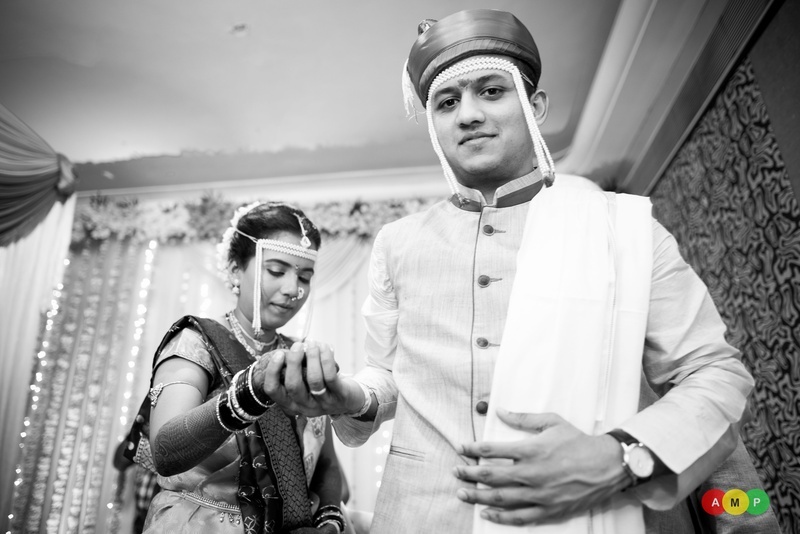 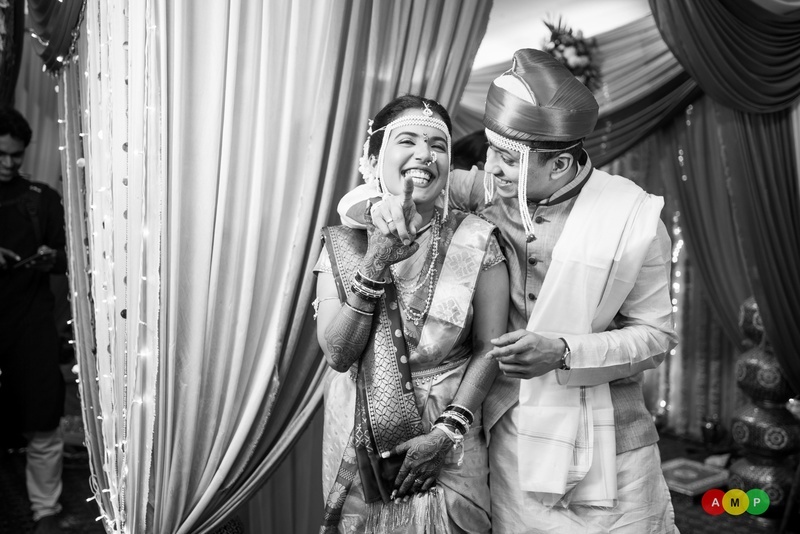 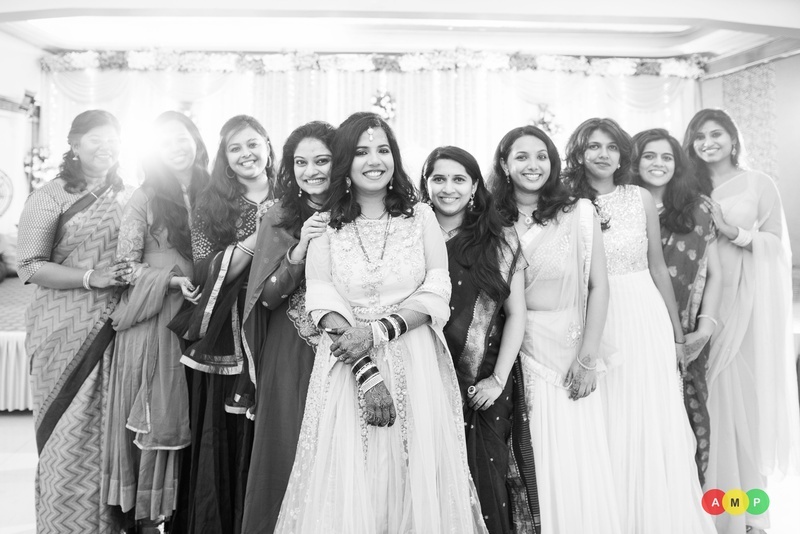 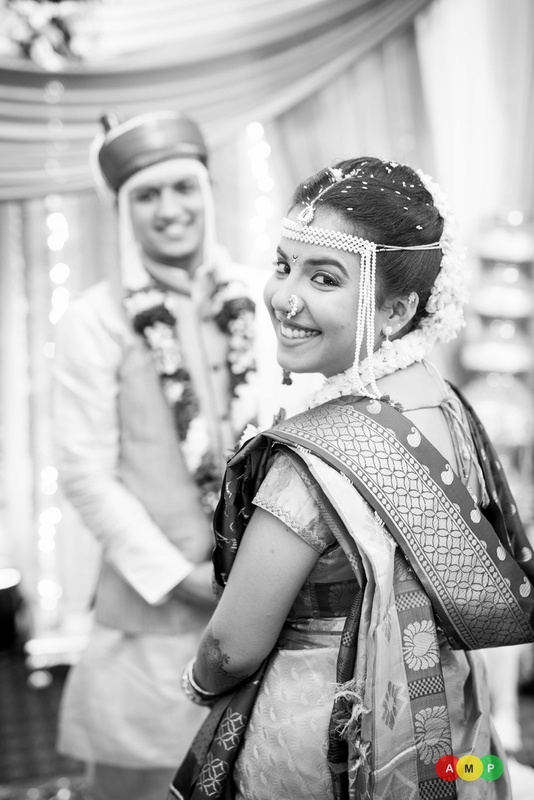 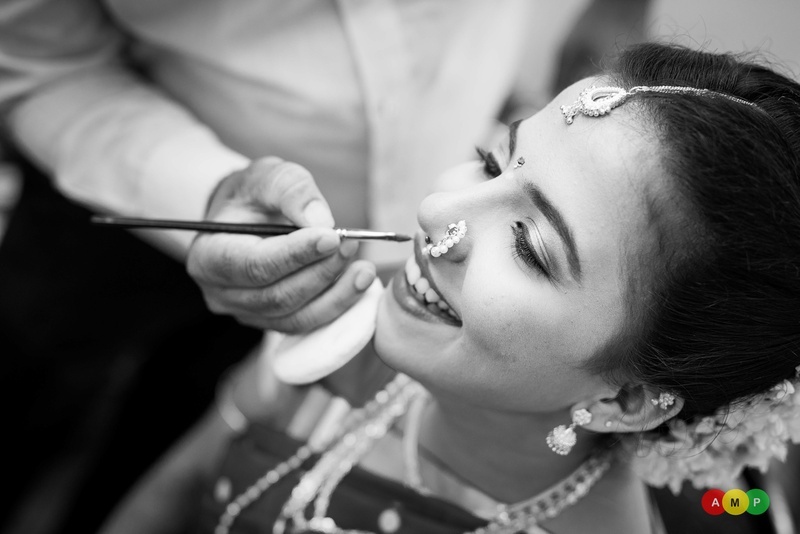 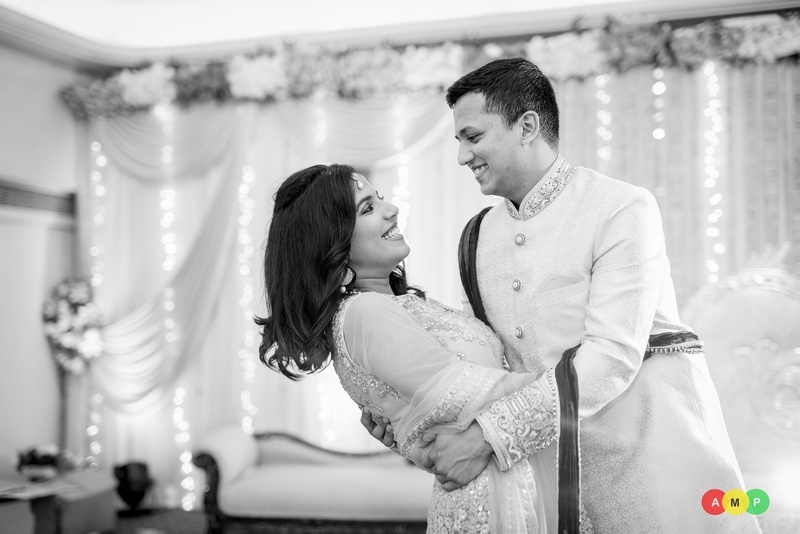 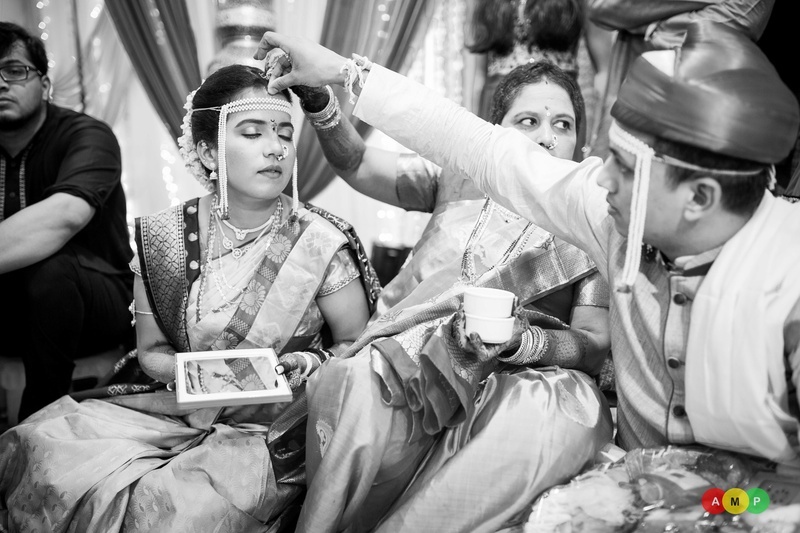 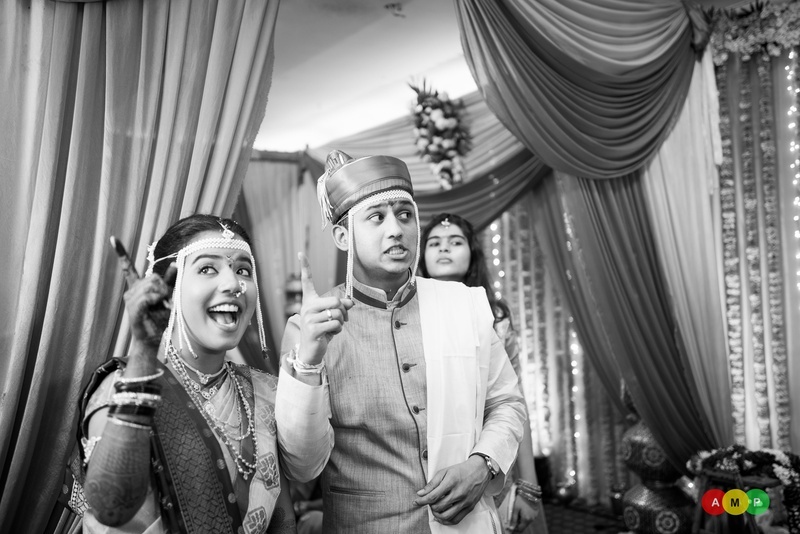 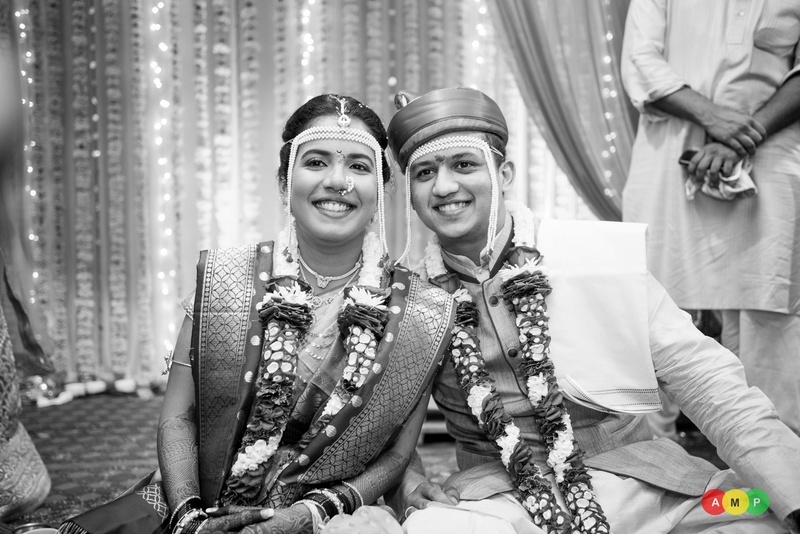 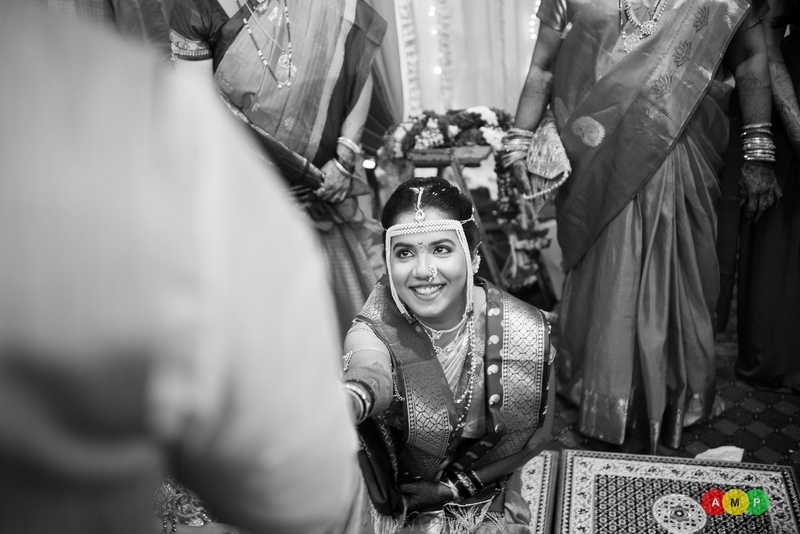 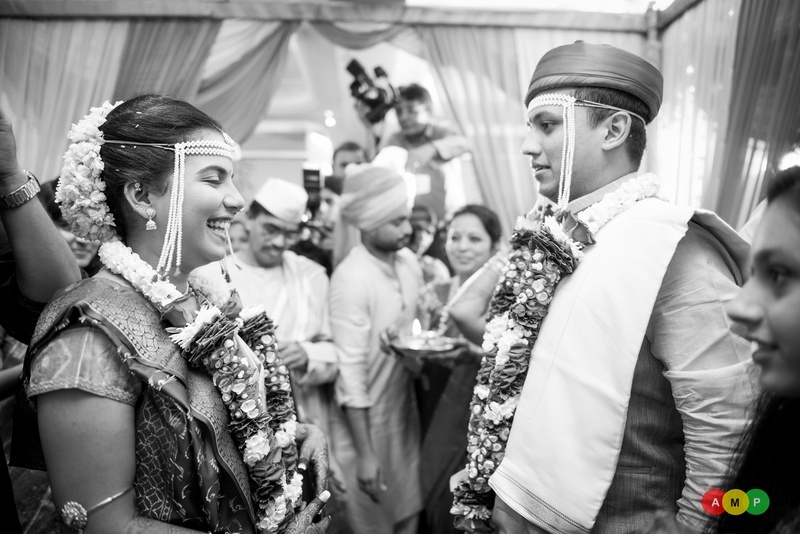 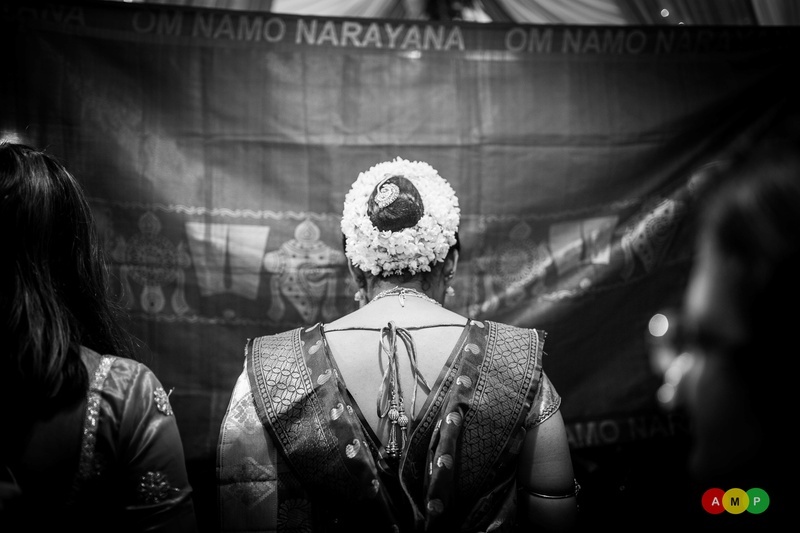 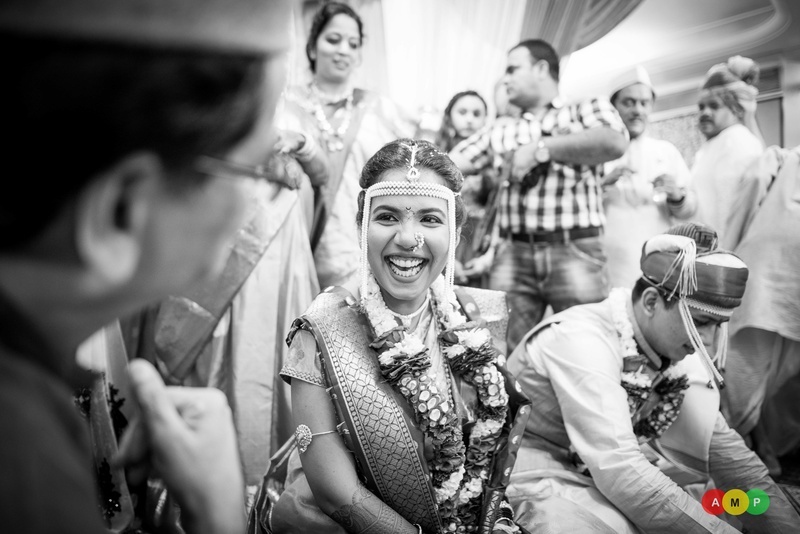 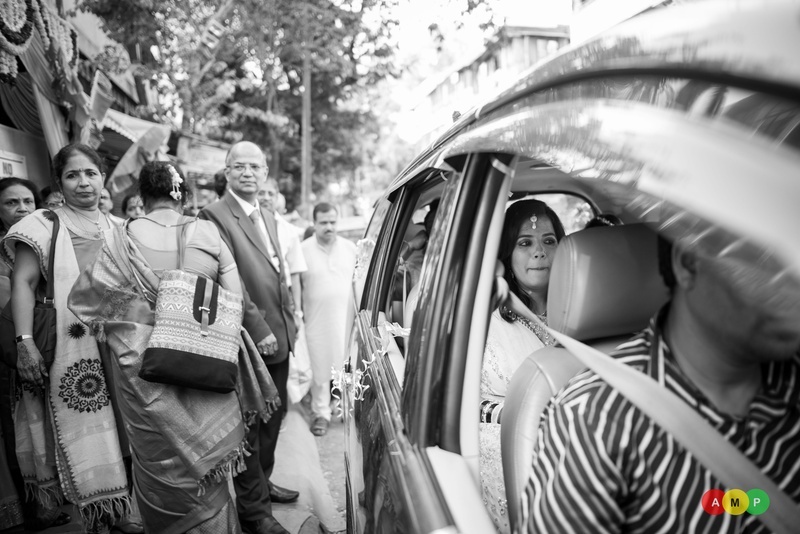 The brilliant team at Anupam Maurya photography captured this entire wedding in black and white – at first we were a little disgruntled with not being able to see the colour of the bride’s stunning Kanjeevaram saree, her jewellery or the grooms dapper suit – but the more we looked at these wedding photos, the more the we were taken away with the rawness of every emotion captured in that monochrome tone. 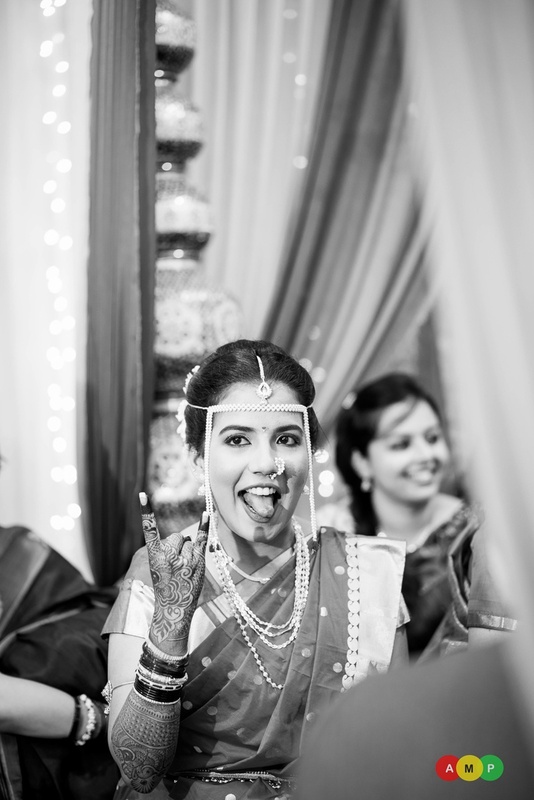 The way AMP team played with light, contrasts and white balances proved that BnW photos speak just as much as coloured photos do. 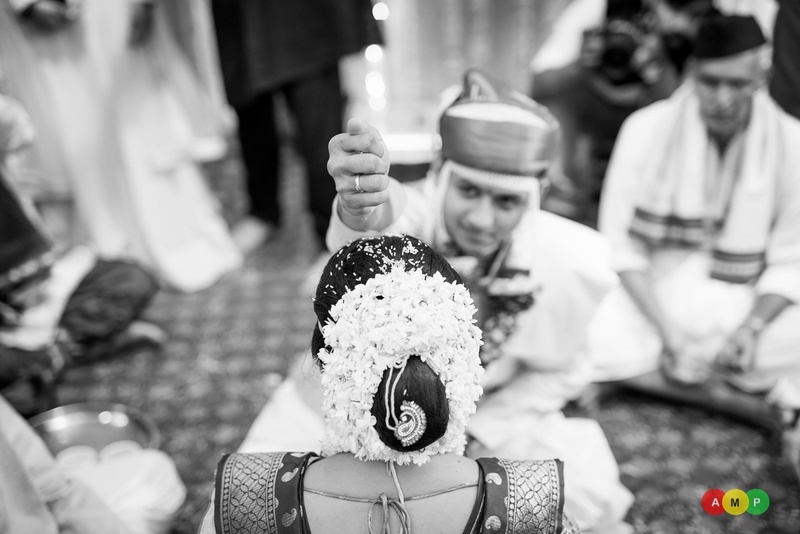 Bridal juda adorned with mogra flowers and hair accessory! 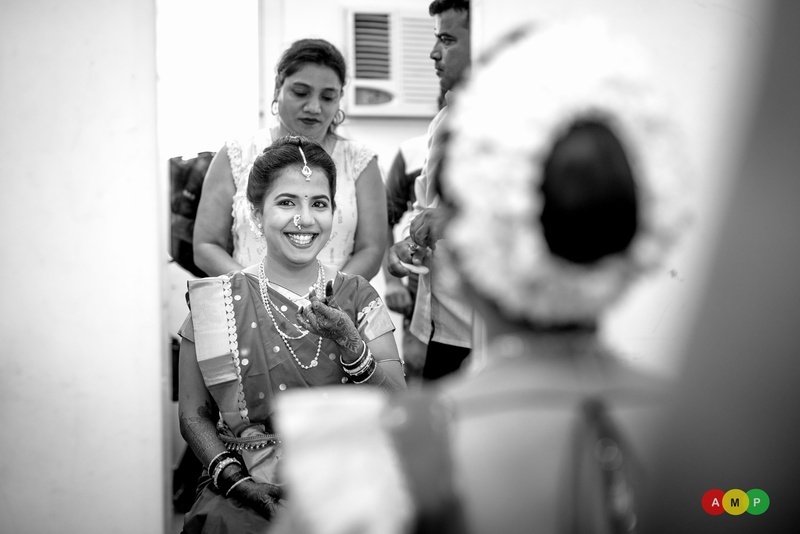 We love the all smile look! 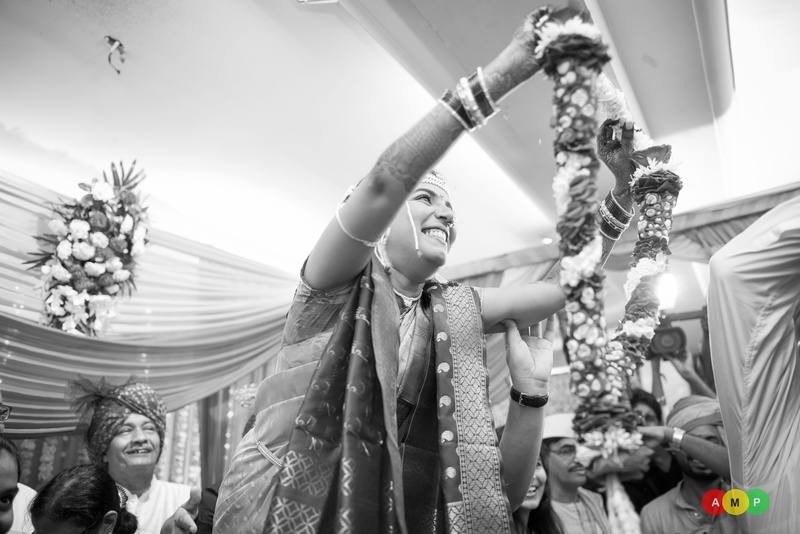 Hooked and taken for life! 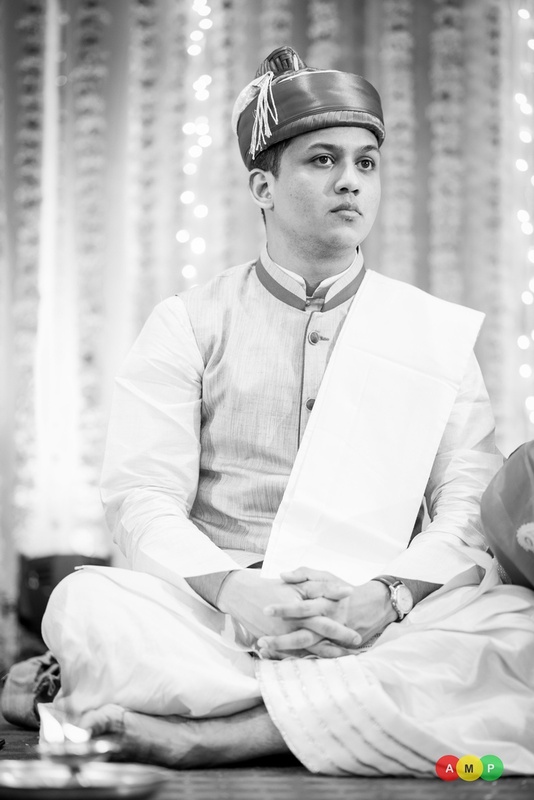 This peshawari topi is so authentic and royal!! 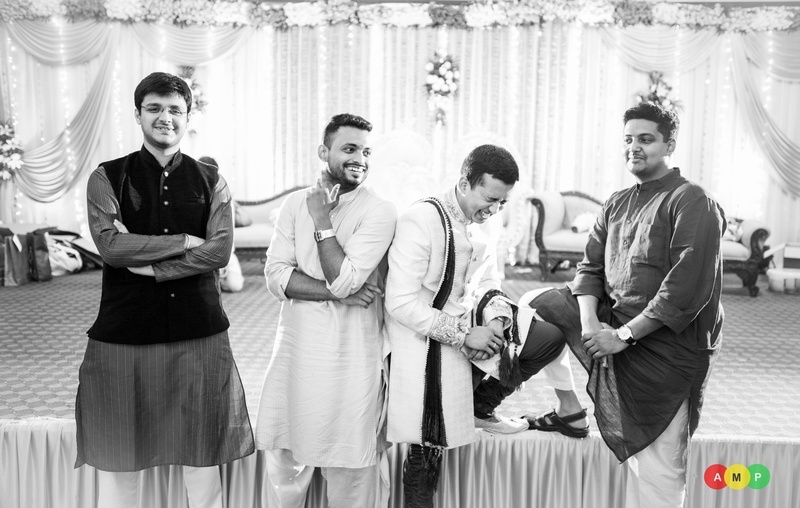 Quite an unique Mundvlya that is! 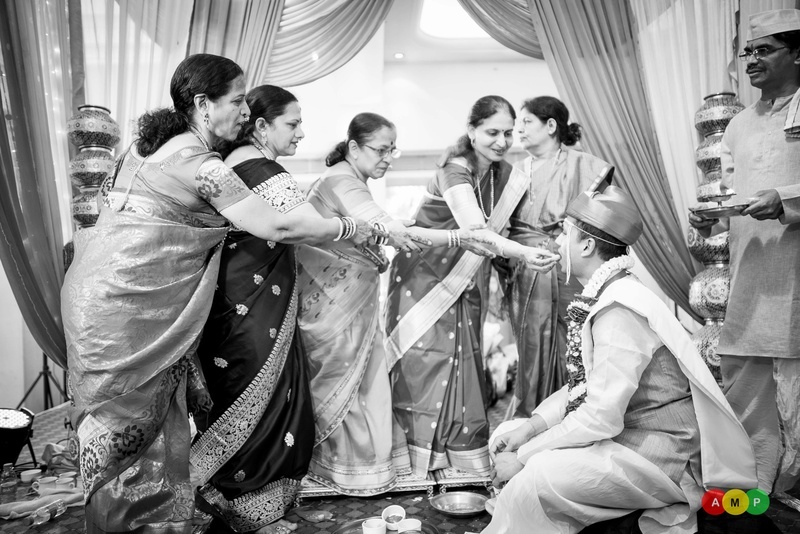 Patience and sincere- Ameya is one groom who has both, quite a combination! 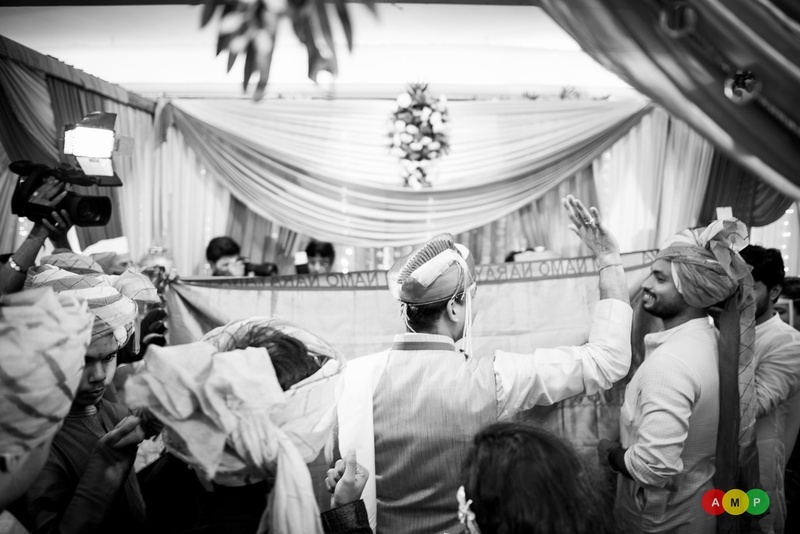 Passing the blessings in hope! 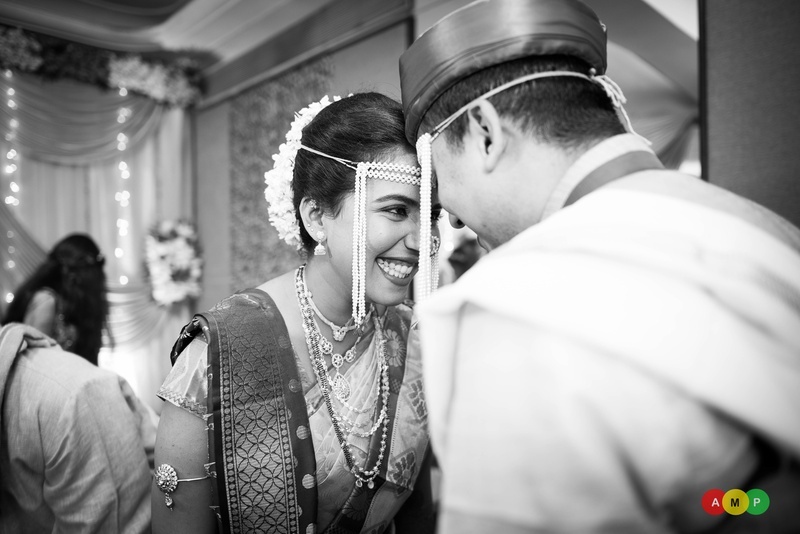 The apple of their eye!